Everyone is loving the home cooked meals offered by the Yumist app in India, but did you know you can get money off your order? Don't worry about wasting your time searching the web for those useless out of date coupons and deals. Here at DealSunny we maintain a page with all the latest Yumist coupons, which can be used right now on the official website and mobile app. All you have to do is click on an offer you want to use and a window will open explaining the terms and how to redeem it. When you use DealSunny you never have to pay full price again! 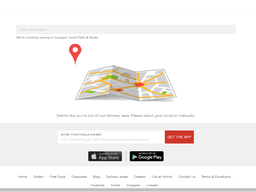 Yumist is a food delivery service based out of India, that covers Gurgaon, South Delhi and Noida, 7 days of the week. The privately held company focuses on fresh homemade style food, which customers from the above locations can order online at Yumist.com or via the mobile app for Android and iOS devices. What makes the service particularly competitive with other food apps, is the variety of special offers and deals that help customers make savings. These are commonly redeemed with Yumist coupons, a list of which we keep up to date right here at DealSunny. All you have to do is remember to browse back to this page before placing an order, and you're sure to get the best deal possible! Yumist was founded in 2014 by ex-Zomato CMO Alok Jain and food and beverage entrepreneur Abhimanyu Maheshwari, receiving $2 million in startup funding in 2015. They believe that typical office food is not up to scratch, and wanted to solve the issue by providing " tasty, home style, yet affordable meals." "We believe that a happy meal is not just about the food, it’s the overall experience surrounding it," reads their about page. Yumist promise to deliver you a steamy fresh, home cooked style meal in as fast as 20 minutes, to save you from the pains of relying on substandard options while at work our or on the go. They also deliver to your home, in case you don't want to cook in the evening. Menu items are inspired by traditional Indian cuisine and western favourites, and you can mix and match meals, snacks and beverages, for your perfect choice. The Yumist promo code you choose for your order from our page, will depend on what you want you want from the menu and what type of deal you're looking for. Some coupons can be applied for discounts on all items, while others are for specific food combos only. Of course deals are always changing so if you see something you like, be sure to place an order as soon as possible. Clicking a coupon at DealSunny will open a new window with the code you need to use on the Yumist.com site or the mobile app. Redemption takes place during the checkout process. 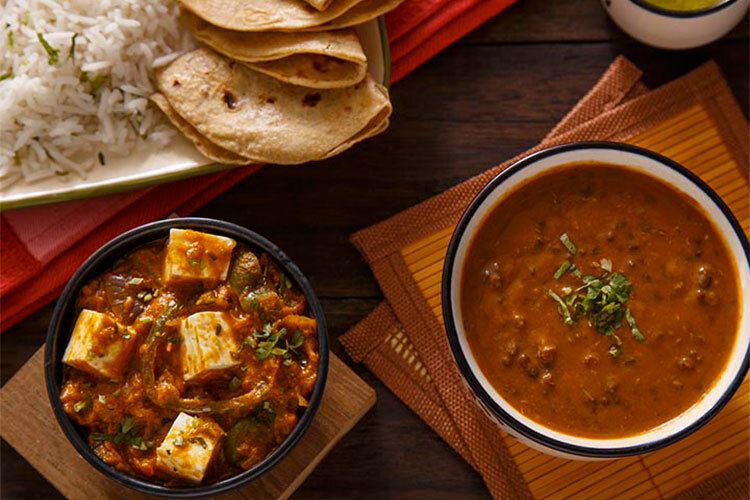 Popular menu items include Rajma Chawal, Chicken Chawal, Aloo Parathe, Arbi Masala, Mamta Aunty Wali Tamatar Sabjee, Butter Chicken & Veg Shammi Kebab, Amritsari Chole, Homestyle Chicken Curry, Paneer-do-Pyaza. The menu changes slightly each day and depending on your location (as different kitchens prepare the meals). You can choose between a dinner and lunchtime menu, and look ahead to the following day to see what will be available. You might choose individual options or a full meal box, which often works out cheaper. Prices obviously vary depending on what you order and how much, but they are always affordable and start as low as Rs. 75. As well as the food you can buy, the Yumist website also features a blog full of mouth watering cooking tips and company information. If you wish to work with them you can also visit the Careers Page, and the "Life at Yumist" page to meet the team. First Order Discount: If it's your first time placing an order via Yumist, you will usually be treated to some kind of discount as a reward for giving them a try. Simply register an account and it will pop up in a window or you may be emailed a code. Combo Discounts: Order a meal box, select menu items, or a certain number of meals, and you will get instant money off. Some deals include Buy 3 meals, get the 4th free. Yumist Coupons: These special codes which you can find at DealSunny, are simply redeemed during the online checkout process for various kinds of discounts and deals. They can even be combined with combo discounts for even deeper savings. App Only: From time to time Yumist reward users of the app with exclusive deals, do there's no reason not to log on to Google Play or the Apple App Store. As well as checking back to DealSunny before placing an order, you might also find some exclusive Yumist offers by following them on social media. They have profiles on Facebook, Twitter, LinkedIn, and Instagram -the latter which has many mouth watering pictures of their food. If you sign up with your email or phone number, you will also be periodically contacted with exclusive deals. Placing you meal order at the Yumist couldn't be easier. You have two avenues to do so, going directly to the Yumist.com website and entering your location to pull up the relevant menu, or downloading the mobile app. This is available for iOS devices from the Apple App Store and Android devices from the Google Play Store. Here it has high star rating of 3.9 out of 5. Before starting you must ensure you fall within the delivery areas of Gurgaon, Delhi and Noida. They use a map feature that shows exactly the regions where you can order from. When you have entered your location the relevant menu will be displayed and you can choose between Dinner and Lunch. Just like any other eCommerce site, you can browse through and add items to your basket. You'll see their photos and price, as well as a description if you click on them. Next you must choose a timeslot for delivery. You can even book one day in advance. The first time you order you must provide your phone number, name, email, and delivery address, and this will then be saved for all future orders. Next you can select your payment option, enter a Yumist promo code and finalize the order. There is also an inbuilt chat function so you can contact the kitchen or courier. All food is prepared in one of their partnered kitchens, with fresh ingredients. Your meal will also be delivered in appropriate packaging to keep it warm for your plate! Yumist supports multiple payment options, to ensure that everyone has a method they can use. Perhaps the easiest method is to use a commonly issued Indian credit, debit or cash card on the site or through the app. This might include Visa, Mastercard, American Express, Maestro and Diners Club. All payments made by card are processed through the secure PayTM platform. Alternatively you can store funds in their own online wallet called YumCash. You simply add money via card and it will be available to instantly use for your order at any time. Once you have spent over Rs. 1000 via YumCash you get a free 15% recharge. If you cannot pay online you can also use Cash On Delivery, which simply means paying the delivery driver in cash, when you meal arrives. They will then courier it back to the kitchen. Because Yumist is currently limited to central Gurgaon, Delhi and Noida, they aim to deliver your food fresh and fast, in just 20 minutes. However don't fret if the order hasn't arrived quite by that time. You can easily track it via the app and send a query through the chat system if you are concerned. All food is kept warm by the packaging and sent by secure courier. Delivery is free, without having to use any special Yumist offers. If your order never arrives, is considerably late or is undercooked or cold, you can contact customer support to arrange for a refund. If items are missing upon delivery or you have other queries, you are advised to use the built in chat platform. The complete order will then be sent out as soon as possible. Obviously if you have used any Yumist coupons to get a discount, you will only be refunded the actual amount charged after this was applied.